The Calcasieu Parish Sheriff’s Office is looking for Leroy Edmond, a 58 year old man suffering from dementia. Edmond was reported missing from St. Martin De Porres Nursing Home, located at 200 Teal Street in Lake Charles, Monday evening at 6:00. 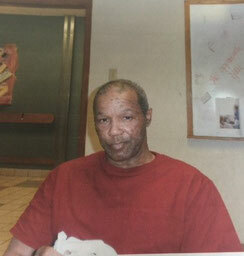 Edmond is described as a black male, 5’6”, 140 pounds, with brown eyes and gray hair. He has a soft cast on his left wrist, but he may have removed it. Edmond has a tattoo of a sword on his left forearm and was last seen wearing gray warm up pants, faded purple t-shirt and white tennis shoes. The Calcasieu Parish Sheriff’s Office is asking the public assistance in locating Edmond. If anyone sees him or knows of his whereabouts, please contact CPSO at 491-3605 or CPSO Detective Lt. Jason Alexander at 912-3939.